Valentino Rossi - did we do the drivers joke already? 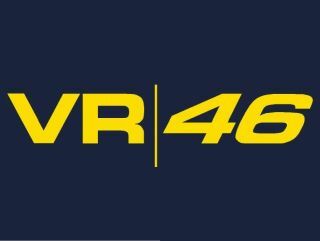 Packard Bell has announced that it will be producing a special Valentino Rossi range of computers, with the champion motorcyclist bringing his personal graphic designer into the project. The range will be designed by Aldo Drudi – Rossi's graphic designer in Moto GP. It wouldn't be a Packard Bell press release without a moment of verbal magic and it says of the range that it has a forceful style, swift and brimming with vitality, [which] evokes the brightly coloured world of Valentino Rossi and the universe of Packard Bell users. To be fair, Rossi can lay claim to being one of the best racing drivers of all time – with nine world championships – although how well that links into the world of PCs remains to be seen. "We are absolutely convinced that users are always seeking an affinity that links the choice of a product to their personal aspirations, to what they want to be and the way they are perceived" - commented Gianpiero Morbello, Acer Group Vice President of Marketing & Brand. "What they buy is above all the idea that rotates around the product, conjured up by the brand and the 'visual details in which they manage to identify themselves. "The 'Valentino Rossi brand' has now attained such an international fame that is immediately recognized by most people. As far as we are concerned, being able to offer our customers the opportunity to experience the 'Valentino dream' through Packard Bell products is extremely rewarding for us, making us very proud." Quite. So expect some high end Rossi-style computers to arrive soon – and expect them to be fast.